MLB Morning Sizzle: Astros Sweep Seattle! The Houston Astros faced a stiff challenge heading into a three-game series against the first-placed Seattle Mariners but they claimed a sweep thanks to Sunday's 3-2 victory. 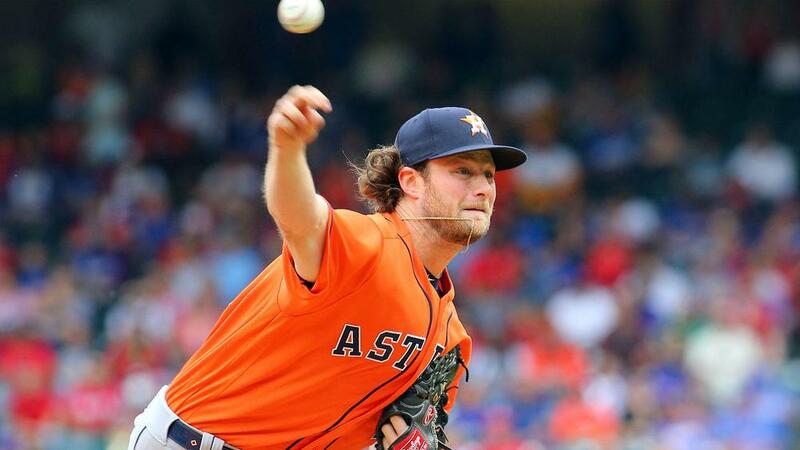 Gerrit Cole struck out 11 and gave up only two runs in six innings to lead the streaking Astros past the high-flying Mariners in Sunday's MLB action. Houston (11-5) have now won nine successive games and trail the Mariners (13-5) by only one game in the American League West. Aledmys Diaz provided the winning run in the seventh with a line-drive home run down the left-field line. In San Francisco, Colorado Rockies right-hander German Marquez retired the first 15 San Francisco Giants he faced, and had a no-hitter through 7.3 innings before Evan Longoria ended the bid with a seeing-eye single. Marquez shut down the Giants the rest of the way to complete a one-hit shutout in the 4-0 win as the Rockies snapped an eight-game losing streak. Colorado's Marquez (2-1) struck out eight batters and threw 105 pitches in the sterling effort. It is the first complete game of his career, and the first in the majors this season. Nolan Arenado hit his first home run of the season and drove in three runs to key the attack. Marcell Ozuna hit two home runs and had four RBIs in the St Louis Cardinals' 9-5 win over the Cincinnati Reds. David Price struck out seven in seven scoreless innings as the Boston Red Sox beat the Baltimore Orioles 4-0. Pittsburgh Pirates first baseman Josh Bell had a pair of RBI doubles and scored two runs, accounting for all the Bucs' runs in a 4-3 win over the Washington Nationals. Ross Stripling gave up only four hits and one run in eight innings in the Los Angeles Dodgers' 7-1 victory against the Milwaukee Brewers. Cleveland Indians ace Corey Kluber did not have it against the Kansas City Royals on Sunday, yielding six earned runs on six hits and five walks in 2.6 innings in the 9-8 loss. Miami Marlins hitters struck out 18 times, stranded 14 runners and managed only five hits in 14 innings in a 3-1 defeat to the Philadelphia Phillies. The surprising young Mets are out to a great start, with rookie slugger Pete Alonso and the offense leading the way. The Phillies staff has struggled, but Bryce Harper (four home runs) and Philadelphia's big bats have picked up the slack. Projected Mets starter Noah Syndergaard (4.74 ERA in three starts) and Philadelphia's Aaron Nola (6.46 ERA in three starts) have not been sharp so far.